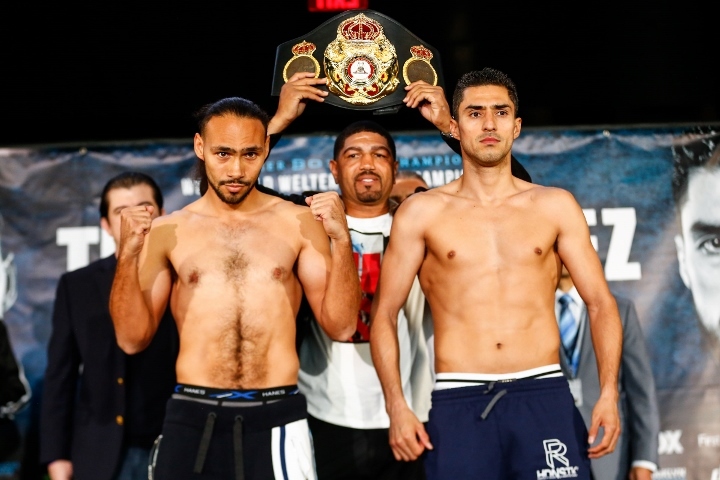 Keith "One Time" Thurman and his challenger Josesito Lopez went face to face on again at the Weigh-in on Friday, ahead of the main-event of Saturday's Premier Boxing Champions on FOX and FOX Deportes event from Barclays Center. 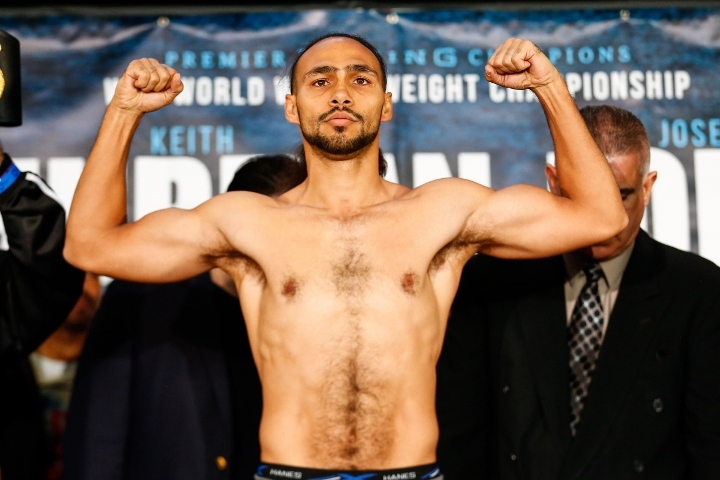 Polish heavyweight contender Adam Kownacki and former title challenger Gerald Washington, who will be supporting the event with a 10 - round Heavyweight clash, also featured in the stare downs. The fight is promoted by TGB Promotions in association with DiBella Entertainment and the tickets go for $50 at ticketmaster.com, barclayscenter.com, or by calling 800-745-3000. Tickets can also be purchased at the American Express Box Office at Barclays Center.